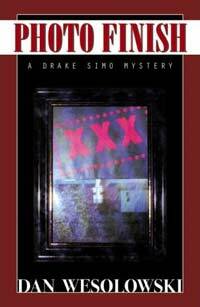 Drake Simo is an intrepid private investigator and substitute teacher. When an ex-girlfriend asks for help in identifying the culprit who took lewd photos of her 18-year-old daughter, Simo is forced to tangle with the woman’s ex-husband, a disgruntled veteran, in order to find the truth. Wesolowski’s characters may read like caricatures of people you know, and the noirspeak is sometimes lathered on thick, but don’t be fooled-a truly suspenseful mystery novel lies between Photo Finish’s covers. The setting of a paradisiacal beachside town with a sinister undercurrent may be tried and true, but Wesolowski will undoubtedly grab local readers with his thinly veiled representation of Santa Barbara and its surrounding communities. Wesolowski will be signing copies of Photo Finish at Mojo Coffee in Goleta (7127 Hollister Ave.) on Sunday, September 28, at 3 p.m.